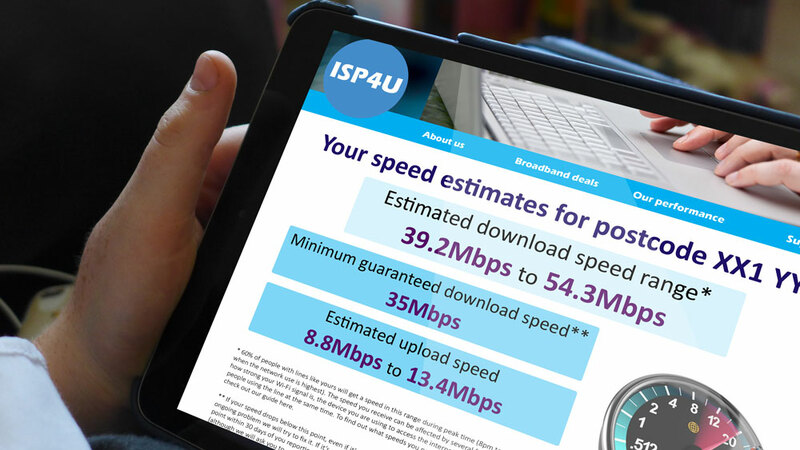 Broadband shoppers must receive better information about speeds before they commit to a contract, under a range of new protections set out by Ofcom today. Broadband is now an essential service for many households and companies, and speed is a vital factor when shopping around for the right deal. But there can be a mismatch between what broadband customers believe they are buying, and what they actually receive. Ofcom is proposing to enhance its existing Codes of Practice, which commit internet companies who have signed up to them to give customers an estimated range of speeds they are likely to receive, as well as the right to exit their contracts penalty-free if their speed falls below a minimum level. Improve speed information at the point of sale and in contracts, by reflecting the slower speeds people can experience at ‘peak’ times; and by ensuring providers always give a minimum guaranteed speed before sale. Strengthen the right to exit if speeds fall below a guaranteed minimum level. Providers would have a limited time to improve speeds before they must let customers walk away penalty-free. For the first time, this right to exit would also apply to contracts that include phone and pay-TV services bought with broadband. Increase the number of customers who benefit from the codes, by expanding their scope to apply to all broadband technologies. Lindsey Fussell, Ofcom’s Consumer Group Director, said: “We want broadband shoppers to know what they’re buying, and what speeds to expect. Gillian Guy, Chief Executive of Citizens Advice, said: "Many people seek our help each year because their slow and intermittent broadband service falls short of what their contract promised. "For most people, a reliable broadband connection is a necessity - so when they don't get what they’ve paid for they should always have a quick and easy way out of their contract. These changes are an important step in giving consumers more power to hold their broadband provider to account for poor service." Broadband speeds are not consistent throughout the day, often falling during busy periods when more people go online. This means ‘actual’ speeds can be lower than advertised ‘up to’ speeds. Speed is one of the most important factors in choosing the right broadband deal. So customers should be told before they buy a package what speed they are actually likely to experience at peak times. Internet providers would also have to give people a minimum, guaranteed speed at the point of sale – not just if requested and in after-sale information, which are already requirements. This will allow people to compare providers and shop around with confidence. The Codes currently enable customers to exit their contract without penalty if speeds fall below a minimum, guaranteed level, and their provider is unable improve it. Providers have an unlimited amount of time to resolve the problem before offering the right to exit. We are proposing to toughen existing rules, by giving providers a maximum of one month to improve speeds before they must let customers walk away without penalty. This right to exit would apply, for the first time, to contracts with phone or pay-TV services bought by households alongside broadband. At present, the Codes apply mostly to broadband over copper-based phone lines. This is because speed problems often arise when buildings connected by copper lie a long way from a local telephone exchange or street cabinet. The proposed new Codes require estimates that reflect speeds at busy times, which can be a particular issue on cable networks, such as the one operated by Virgin Media. So in future, cable customers will also benefit from these protections. Overall, Ofcom has found providers are complying adequately with the current residential Code. Our mystery shopping research showed an increase in compliance since our last study. But there is room to improve, and providers have set out a number of measures they intend to take, such as reviewing staff training and looking at how to improve their website sales processes. We will monitor their performance, and report regularly on compliance. Today’s plans are part of Ofcom’s work to deliver a step-change in service quality for broadband customers. This also includes automatic compensation when things go wrong, providing consumers with detailed information so they can shop around with confidence, and helping people secure the best deal for them. We expect to publish a final decision on the improved Codes of Practice early next year, alongside a consumer guide to help raise awareness of the additional benefits of the new Codes. Ofcom introduced the residential Code in 2008, and a Code for business customers in 2016. All of the UK’s largest providers have signed up to both broadband speeds Codes of Practice. Ofcom has worked with providers to examine how we can improve the Codes to benefit consumers. Peak times are 8-10pm for residential customers, and 12-2pm for businesses. Ofcom’s UK Home Broadband Performance report shows that average download speeds for residential customers are 34.6Mbit/s during the 8-10pm peak period, compared to average maximum speeds of 39.1Mbit/s. Ofcom’s UK Home Broadband Performance report showed that the variation in speeds at busy times is more notable for cable connections than for copper-based services. Ofcom has also been working closely with the Advertising Standards Authority and Committees of Advertising Practice (CAP) to improve the way broadband is advertised, to prevent people from being misled. We welcome CAP’s review of broadband speed claims in advertising, and look forward to its conclusions on how best to tighten standards.